As we all know that BRICS stands for Brazil, Russia, India, China and South Africa. Every year one of the BRICS countries host the Annual BRICS Summit and Heads of States from all the five countries attend that summit. But may be you don't know that to mark a formal recognition for the potential of the youth and a platform to provide them with cross cultural interactions, the BRICS Youth Summit or also referred as the BRICS Youth Forum have also come into the picture lately. 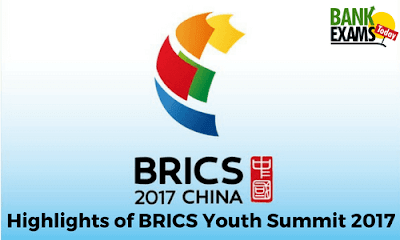 The 2017 BRICS Youth Summit concluded in Beijing, China on July 27 as this year it was China's turn to play the host. The 2017 BRICS Youth Forum hosted by the All-China Youth Federation was attended by a total of 50 young delegates from the BRICS countries. What constituted the Summit and concluded this special gathering into a meaningful and formal get together was the in-depth discussion that took place between the young and energetic delegates from the BRICS countries. After arriving at a mutually agreed consensus, The Action Plan for the 2017 BRICS Youth Forum was announced before the closing ceremony. Each and every of the participating delegations were very excited to be a part of this summit and while cherishing the fruitful time that they spent with other delegations, they emphasized the importance of BRICS Youth Summit as an invaluable platform that provides a plethora of opportunities of growth and sustained development for all the countries of BRICS. The Action Plan from the BRICS Youth Summit/Forum, as an achievement of BRICS youth cooperation, will be submitted to the preparatory committee of the Ninth BRICS Summit to be held in China's Xiamen this September.